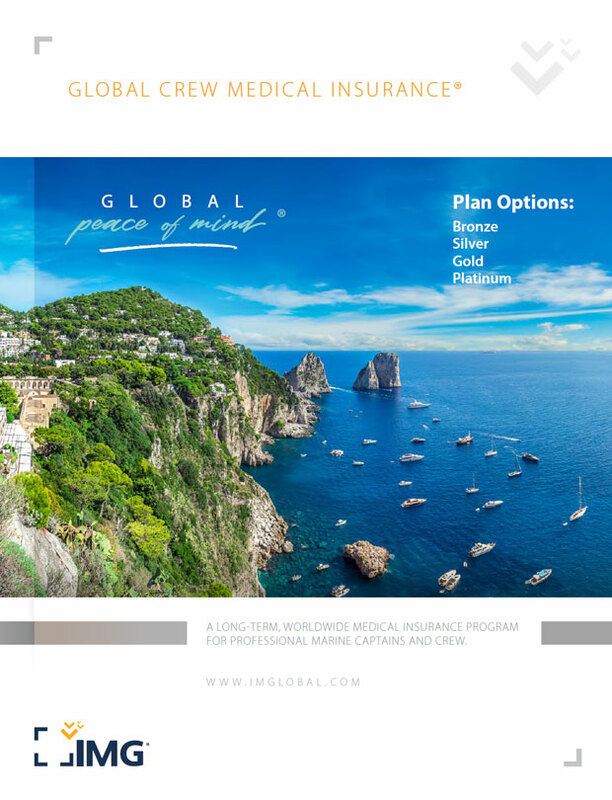 Worldwide Medical Coverage for Professional Marine Captains and Crew Members | IMG Europe Ltd.
For Global Crew Medical Insurance. These plans are offered by the parent company of IMG Europe, IMG, under applicable U.S. law. For the FCA regulated plans of IMG Europe, please click here. Individual, comprehensive and portable international medical insurance designed specifically for professional marine crew. Global Crew Medical Insurance can help eliminate the obstacles of time, currency and language when you are seeking medical treatment and need assistance and administration of your global health care benefits. The plan provides $5,000,000 of lifetime coverage with a full range of benefits and offers two options: worldwide coverage or worldwide coverage excluding the U.S. and Canada. Both options provide coverage 24 hours a day, and you have the freedom to choose any doctor or hospital for treatment. Additionally, you have access to more than 16,000 providers when seeking treatment outside the U.S. using our International Provider Access (IPA). You can also reduce your out-of-pocket costs when seeking treatment in the U.S. by locating providers through the independent Preferred Provider Organization.